Despite Labour’s catastrophic result in Scotland – it dropped from 41 seats to one; the SNP now has 56 – in Great Britain as a whole its total vote actually rose by 1.4 per cent; the Tory vote was up 0.8 per cent. In England the Tory vote rose by 1.5 per cent and Labour’s by 3.5 per cent. So as to gains in votes cast, Ed, you did more than twice as well as Cameron in England and almost twice as well as the Tories across Britain, despite Scotland (where incidentally Labour won over 700,000 votes, again nearly twice as many as the Tories). Overall Labour narrowly won more seats from the Tories than vice versa, a net gain however you look at it. So even measured by seats won and lost under the distortions of First Past the Post, and more clearly by gains in raw votes cast, you out-performed David Cameron. It’s clear with hindsight that many Labour people’s expectations (including mine) that on or soon after 8 May you would be prime minister, heading a minority government, were always going to be disappointed: a new prime minister like David Cameron generally gets a second term, and a party suffering a defeat like Labour’s in 2010 usually needs at least two parliamentary terms to recover and form a government. Labour would probably have lost even if it had been led by Nelson Mandela or the angel Gabriel. Congratulations too on your brave election campaign. You’ve been widely blamed for not “looking like a prime minister”. But on any objective reckoning you bore yourself throughout the campaign and before with more dignity and authority than Mr Cameron has ever managed to summon up. A party leader who has never been prime minister is almost invariably regarded as “not prime ministerial”: even most Tories couldn’t quite see Margaret Thatcher as prime minister on the steps of No. 10 promising to bring harmony to the nation, until she was and did (promise, not bring). Just performing the ceremonial duties of the office confers a certain gravitas (except on Mr Cameron, who still sounds shrill, petulant and pettily partisan). Even the Tories admit that you grew enormously in confidence, authority and stature in the eyes of the public during the campaign. Those of us who had already heard and seen you in the flesh on public platforms knew you were the real thing, a big beast in the political jungle, with the capacity to be a fine and inspiring prime minister. Next, congratulations on the positive radical things that you brought to Labour’s policies, often in the face of obstruction from some of your colleagues who seemed more anxious to protect their own and New Labour’s reputations and legacy in government than to support your efforts to strike out in a new direction. The theme of “predatory” versus “producer” capitalism which you set out in late 2011 was a brilliant and seminal insight, neither negative nor anti-business. It rang bells all along the political spectrum. A letter in today’s Financial Times urges the Conservatives to adopt your ideas on limited price and rent controls, and restoring the public interest test to decisions on mergers and acquisitions. Even parts of the Tory media have supported your calls for restraint over bankers’ bonuses and for restoration of the 50% top marginal tax rate. You were absolutely right to highlight the object of economic and fiscal policy as ordinary families’ well-being, ahead of reduction of the budget deficit; and to focus on gross, mounting inequality as the enemy of growth and prosperity. It’s certainly regrettable that the party leadership failed to nail damaging — perhaps ultimately lethal — Tory lies about the alleged responsibility of the Blair and Brown governments for the banking crisis and about their supposed over-spending (largely on schools and hospitals to make up for years of Tory government neglect), and now the smart purveyors of hindsight are blaming you for concentrating on the future instead of refuting Tory lies about the past. But if you had tried to deal with those damaging twin smears about the New Labour record, that would have become the central battleground of the election, on ground of the Tories’ choosing, and you would now be under attack from left and right for having failed to advance optimistic and forward-looking policies for the future – as indeed simultaneously you are. And you could not have buried those Tory myths on your own. Congratulations, therefore, on your fine, thoughtful and inspiring leadership, failings comfortably outweighed by success. It’s sad that those competing for the succession are rushing to ditch so many of the good things you gave the party. You had, and have, real stature. Compared with you, most of the current candidates look like uninspiring pygmies. You still have a huge amount to contribute and many of us hope that you will do so. Accept responsibility for defeat if you must, but don’t apologise. No doubt I’ll be drenched in bemusement, disbelief, scorn and rage for writing this. But facts are facts. Congratulations, Ed, and thank you. Ooh, I’d love to have whatever you’re taking. Ed leads Labour to probably its most catastrophic defeat since 1931, and you think he’s done a good job? And what about those four million UKIP voters, many of whom came from Labour? What on earth are you going to do to win them back? Brian writes: Thank you. Much as I expected — and no challenge to any specific points or facts in my post, I see. I feel a bit of personal sympathy for Ed and I do agree that he seems a lot better than any of those likely to succeed him, but really, his Ed Stone and his loonie, I’d rather have a Conservative government than deal with the SNP, etc didn’t strike me as very inspired leadership. He might have increased Labour’s vote, but surely after five years of Cameron and Clegg the Tories and LibDems should have been there for the taking? Milliband had years to devise alternative policies and mobilise a campaign around them. Instead he fought a confused campaign almost entirely on the Tories’ ground – pro-austerity, anti-immigration and anti-Scottish invasion. He pretty effectively destroyed Labour support in Scotland and then climaxed on the banalities on the Ed Stone. Ridicule wasn’t helpful to his credibility. Meena and I absolutely agree with your letter, Brian. Ed has always shown real commitment to values that many of us hold dear. He will be a hard act to follow. If and when the Party swings right and loses its way as it did under Blair and would have done under his brother, we shall live to regret his untimely resignation. Good shot Ed. An heroic but doomed attempt to defend the indefensible. The worst thing about Miliband’s Labour was its bewildering inability to engage with the key philosophical issues of our time (above all how new technology is changing our basic ideas of work and what that means) in any helpful intellectual innovative way. The fact that EM tried to compensate for this with his faux ‘toughness’ made it all the more embarrassing. We all know what’s going on: as long as Labour takes a lead from the public sector unions, it will have nothing interesting to say to the fast-rowing number of Brits who need to live off their wits in self-employed or other less formal work arrangements. The mathematics won’t work. Labour got 31% of the English vote to the Conservatives’ 41%. Almost as many voters supported UKIP/the LibDems/the Greens (combined) as supported Labour. Your congratulations ring hollow, I’m afraid. I would like to think most people would concede that Miliband was a decent chap and is less than wholly deserving of the repudiation that memories of his leadership seem to inspire, particularly from party elites. 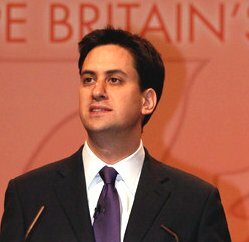 His election campaign emphasized such measures as the energy price freeze that looked nonesense in the face of failing prices (and undermined the “cost of living crisis” message), the zero hours contracts fuss when, if there are problems, they are not felt by many happily on such contracts, and then the huge fuss over “non-dom” tax status – where Miliband had a point that achieved some resonance with the public but it is hardly an issue of much significance (Brown’s government made reforms that stopped short of what Miliband proposed) in the context of contemporary Britain and in the midst of a general election. The Mansion tax I think was seen as unfair and a “bash the rich” politics of envy policy that after a few years (like so many before it) would become a “bash the middle classes” tax. These emphasized policies did not amount to a coherent programme that showed the way forward, more an eclectic mix of ideologically based tinkering. Blaming Miliband is just since he was leader but as the entire Labour Party has no idea, it seems to me, what to do about what Blair and the New Labour Project did to it, he might be cut some slack although offering congratulations seems to o’er flow the measure. Talk about damning with faint praise, Formula 57. It would have been more merciful to describe Miliband as a fratricide who climbed to success on the union block vote, only to kick away the ladder. As leader of the Opposition he reduced PM’s Questions to the level of a Public School debating society, knew how stupid he was being, but couldn’t change. His relationship with Balls was almost as toxic as Blair’s with Brown, and resulted in an election campaign which was every bit as phoney as you say. Which of the New Labour turncoats taught him the Blair “power walk,” I wonder, or suggested the Happy Warrior image? His ham acting made the Tories look good. As for his over-eager attempt to reinvent himself in the House of Commons . . . The handful of comments on my ‘open letter of congratulations to Ed Miliband’ in this blog are much as I had expected. Those which are generally supportive understandably have felt obliged in some cases to add their regrets about the many shortcomings of the campaign which Miliband led and for which he has rightly accepted responsibility. Other comments, from contributors who are clearly hostile to Labour in almost any conceivable circumstances and under almost any conceivable leader, prefer to ignore the specific aspects of Ed Miliband’s leadership on which I argued that he deserves congratulations, focusing instead on the standard gloating Tory line which boils down to scolding Labour generally and Miliband in particular for failure to adopt basically Tory policies and for looking ‘weird’ when photographed eating a bacon sandwich. Some of these have added a dash of personal malice against Miliband, which I hope their authors might repent at leisure. The accusation against him of “fratricide” strikes me as particularly offensive and unwarranted. I wonder if its author regards David Miliband as equally guilty of fratricide for having chosen to stand against his brother for the leadership (or having persisted in his candidature after his brother had entered the lists) — in which case the only way either brother could have escaped this thoughtless and hurtful censure would have been by agreeing that neither should stand, which would have been manifestly ridiculous. Or is it suggested that David had the right to veto his brother’s candidature on the grounds that David was the older? Or is Ed’s fratricidal crime really down to his having won? Both brothers were serious and well qualified candidates for the leadership, both enjoyed extensive support (as the leadership election result showed), and there was no possible reason to deprive the party of a choice between their respective talents, just because they were (and are) brothers. The parrot cry of ‘fratricide!’ is frankly to be deplored, and should be withdrawn, along with some of the other far-fetched and unsupportable charges. The blogosphere too often seems to tempt contributors into making quite serious accusations that most of them wouldn’t dream of making in a face-to-face conversation with the person accused, and that often don’t bear serious examination. The redeeming feature in the hostile comments here, in contrast to other comments on the same post elsewhere, is that those posting them have used their own names rather than sheltering behind pseudonyms. For that at least I’m grateful. There’s an interesting contrast between the comments here and those on the same post published over at LabourList (http://bit.ly/1Tlc9vb). My article there has attracted 251 comments at the last count, many of them just as violently hostile as I had expected. As in the case of the hostile comments here, their contributors chose to ignore the specific aspects of the Miliband record that I had singled out as positive and creditable, finding it more self-gratifying to launch volleys of criticism of Labour policies and tactics with which my post was not concerned. At a certain point, however, the thread of comments on LabourList became swamped in unpleasant ridicule, mockery, personal attacks and often far-fetched accusations, sometimes notably illiterate, sometimes descending into gibberish. Some were tainted by unmistakeable antisemitism, with a nasty semi-fascist flavour. This unwelcome development bore all the marks of an orchestrated campaign obediently executed by practised trolls, many of them self-confessed Tories. I suppose that I should be flattered that some unpleasant individuals on the far murky right should have thought it worthwhile to make such vigorous efforts to close down debate on my modest attempt to point out some of the positive features of the Miliband leadership — not for the sake of being controversial or counterintuitive, but because I see a danger that in the reaction to Labour’s heavy defeat last month, Miliband’s positive visions for the future direction of the party will be casually jettisoned by the contenders for the succession in their anxiety to repudiate absolutely everything that people associate with his ultimate failure. So it has been an interesting exercise, if a somewhat depressing one. The comments are so much “as expected,” Brian, that you seem to have gone onto auto-pilot without reading them properly. With respect, the “specific aspects of Ed Miliband’s leadership on which . . . he deserves congratulations” are more than adequately covered by the observation that none of them was translated into policy. As for “fratricide,” jusst ask yurself one thing: what does it say about Miliband that so many commentators consider it fair criticism? (And please note that I was careful not to make this accusation myself). Taking reactions as a whole, the main impression I get is not so much hostility to the unfortunate Miliband, as extreme disillusion with the current political elite more generally. There is not a single comment that justifies your impression that anyone who doesn’t agrees with you must be axiomatically “hostile to Labour in almost any conceivable circumstances and under almost any conceivable leader.” As for your fear that somehow Tory trolls are getting at you, not one of your contributors would appear to be applauding the government for pushing through a radical agenda with only 36% of cast votes. Although, come to think of it, wasn’t that precisely what you hoped to see Labour doing? 1) Move on from New Labour’s obsession with presentation. 2) Fight on coherent policies, not populist slogans. 3) Be a real left-wing party, with good relations with the Trades Union movement, in the Fabian Society tradition (there’s a rare plug for Ed Balls for you). If this means becoming a minority party, so be it. Labour will get a better deal for the working classes that way than by compromising its principles. 4) Most important of all, after such a sensationally undemocratic election result – sorry to repeat this, but it is another of your blind spots – it would help both the country and the labour movement if we had fair votes.